HOUSTON (KTRK) -- The winners of the Tommy Tune Awards have just been revealed. Stratford High School won the category for "Best Musical" for its production, "Anything Goes." The "Best Lead Actress" award went to Stratford's Noelle Flores for her role as Reno Sweeney in "Anything Goes." The "Best Lead Actor" award went to Muhammad Yunus of Foster High School for his role as Usnavi in the production, "In the Heights." This year's awards show was canceled because of the flooding across the Bayou City. Instead, the winners were announced on the awards show's Facebook page. 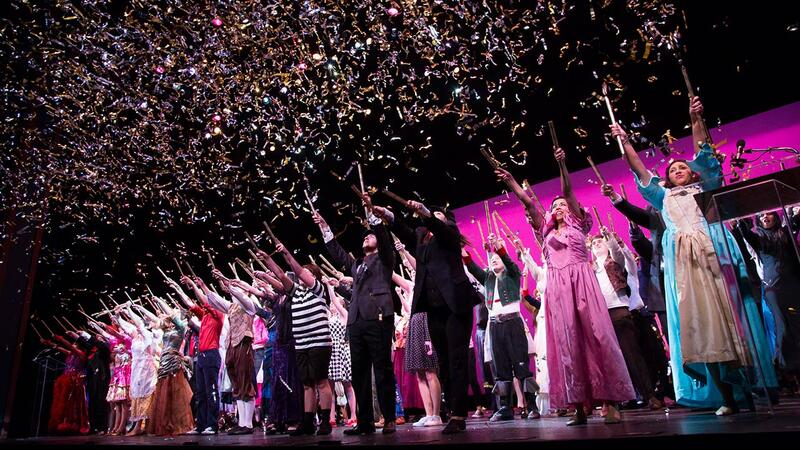 The Tommy Tune Awards recognize the best productions of musical theater by high school students and their teachers during the 2015-16 school year; each school's performance will be judged and evaluated by a team of Houston-based theater professionals. Winners selected from a pool of 45 schools. TUTS' Tommy Tune Awards are named for Broadway legend, Houston native and Lamar High School alumnus Tommy Tune. A performer, director and choreographer with more than 50 years of stage experience, Tune received nine Tony Awards for his work in the following productions: Seesaw, My One and Only, A Day in Hollywood/A Night in the Ukraine, Nine, Grand Hotel and The Will Rogers Follies. He was also awarded the National Medal of Arts in 2003 by President Bush.